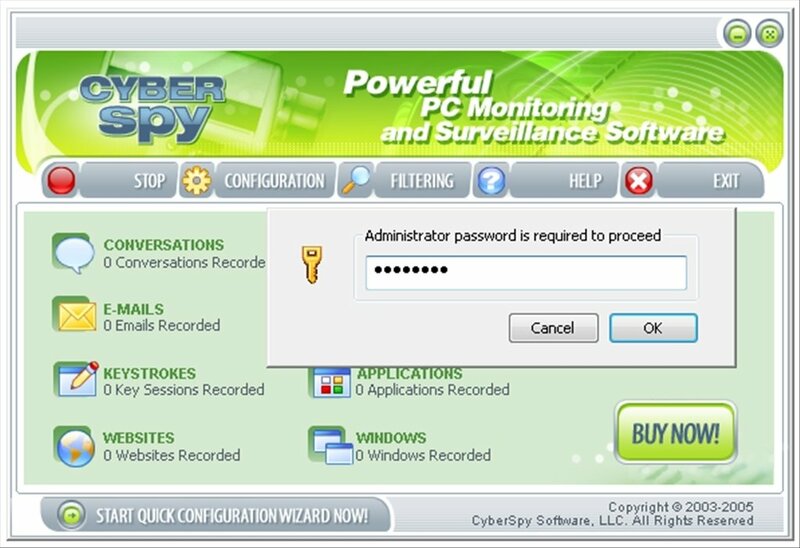 One of the biggest problems that can arise when it comes to sharing a computer is not knowing how the other users use it, and if you want to make sure that all the other users use it correctly nothing better than to use a program like CyberSpy. 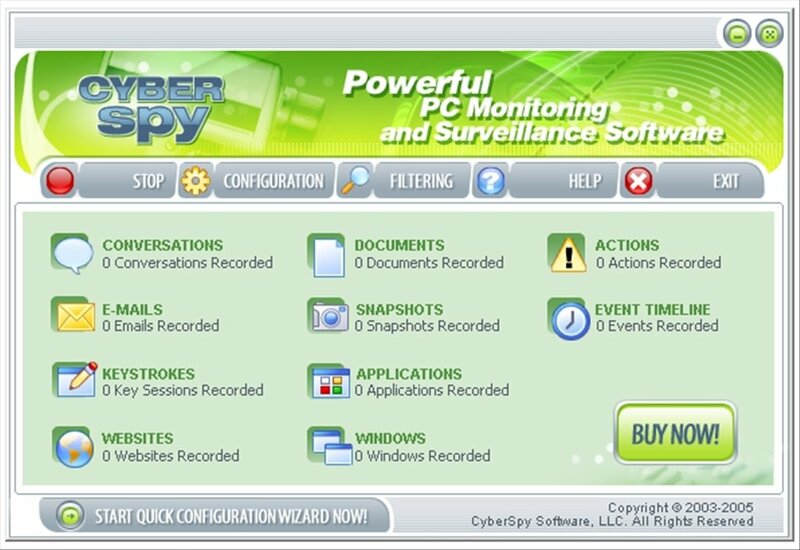 How CyberSpy works is very clear and it doesn't require advanced knowledge to be used. 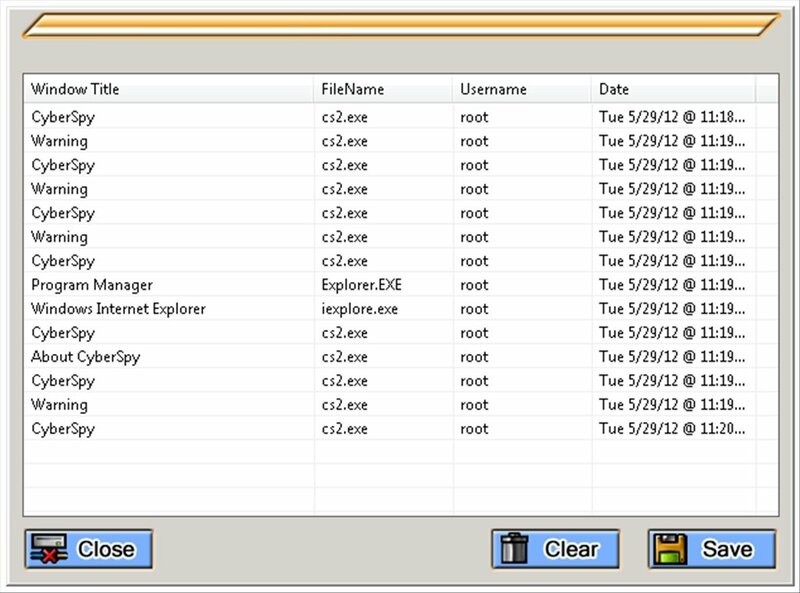 Simply creating a password and completing a guided assistant it will all be ready to be used. 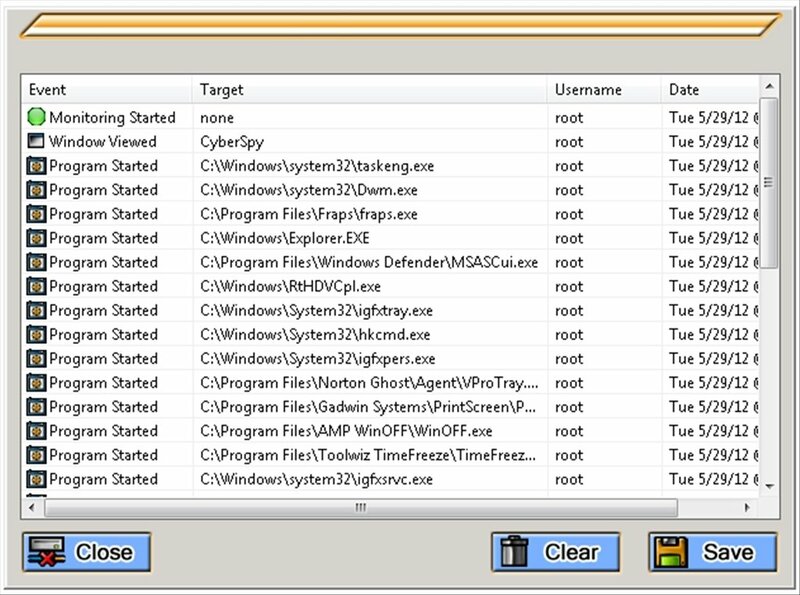 In other words, everything you need to be able to find out what a user was doing while using the computer. 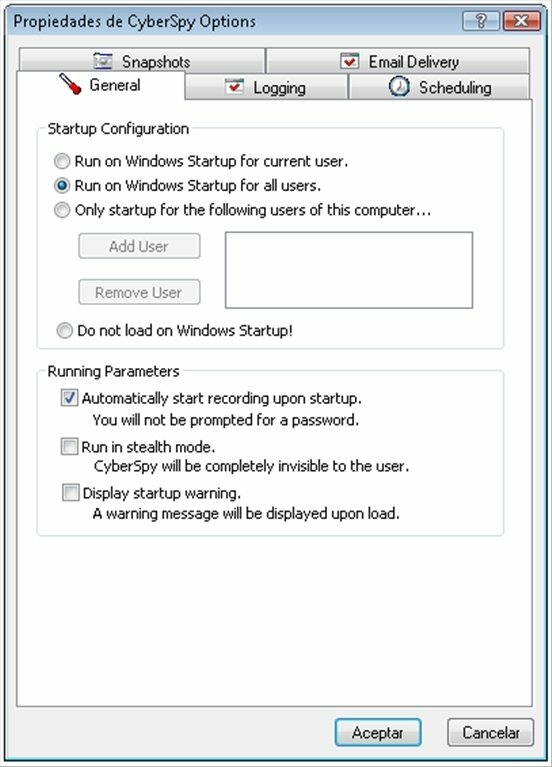 Optionally, the user will be able to program CyberSpy to show a message when the system is booted indicating that the computer's activity is being registered. 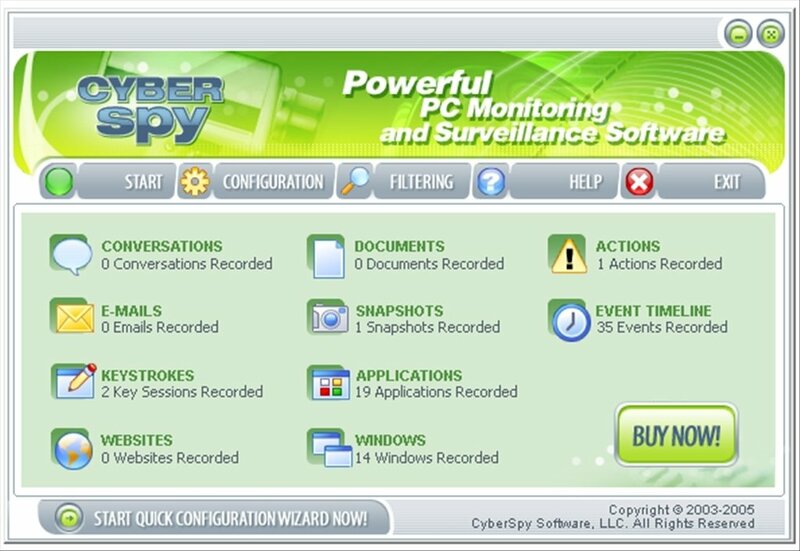 Download CyberSpy to find out everything that happens on your computer when you aren't there. The trial version can only be used for 30 minutes. 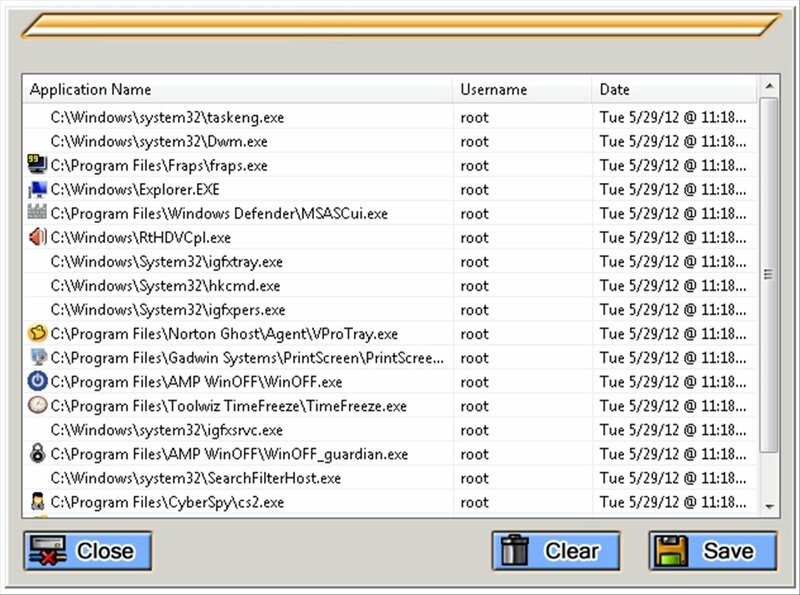 Due to the type of program that this is it may cause a false positive from many antivirus applications.